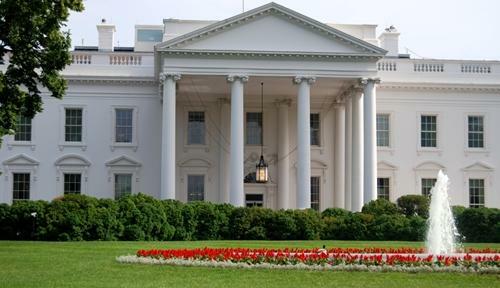 Solar panels installed on White House | West Coast Solar, Inc.
Sources are reporting to the Washington Post that the White House has finally followed through on a promise to install a solar energy system on the roof of the most famous residence in the world. The details of the system, including the cost, size and supplier, have been kept under wraps, but it was confirmed that after a delay of three years, contractors had begun installation. It’s not the first time that solar power has made its way into the President’s home, but it’s certainly the most notable effort to make the White House greener. In the 70’s, Jimmy Carter had a solar water heater installed that was later removed by Ronald Reagan. In 2003, George W. Bush had photovoltaic panels put on a maintenance building, in addition to having two solar thermal systems constructed to heat the White House swimming pool. But President Obama has been much more vocal about his commitment to renewable energy, and as such has been under greater pressure to see the solar panel project through to completion. The panels were reportedly made by an American manufacturer, and it’s expected that – through the use of various federal, state and local incentive programs – they will pay for themselves within an eight year period. It’s never too late to have a solar PV system installed on your home. For more information on how you can benefit from this technology, contact West Coast Solar today.